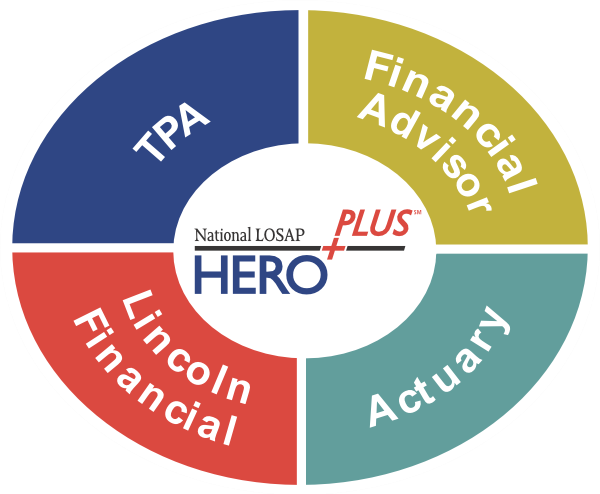 As your partner, the HEROPLUS℠ program makes it easy for you, the Third Party Administrator (TPA) and your financial professional to work with Lincoln Financial, and an Actuary to create a LOSAP program that is tailored to meet the programs needs. Our turnkey approach helps to ensure a seamless transition to a customized HEROPLUS℠ program that will help the plan sponsor recruit, retain and reward volunteers with confidence. Simply contact your HEROPLUS℠ Representative, who will assist you in bringing the many advantages of the HEROPLUS℠ program to your clients.